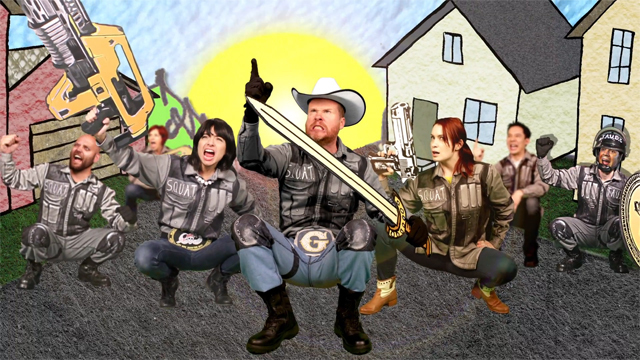 In the humorous action packed story Scary Smash written and told by 5-year-old Brett Baligad, actors Dave Foley, Joss Whedon and Kate Micucci take part in an imaginative tale filled with squatting and monster battles. 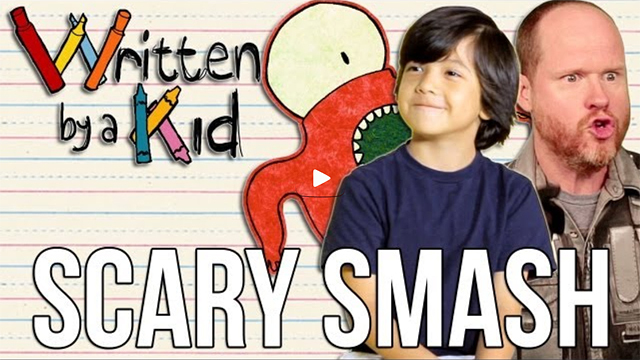 This is episode one of the new Geek & Sundry series Written By a Kid, created by Will Bowles and Josh Flaum. It was directed by David Strange and co-produced by Felicia Day. 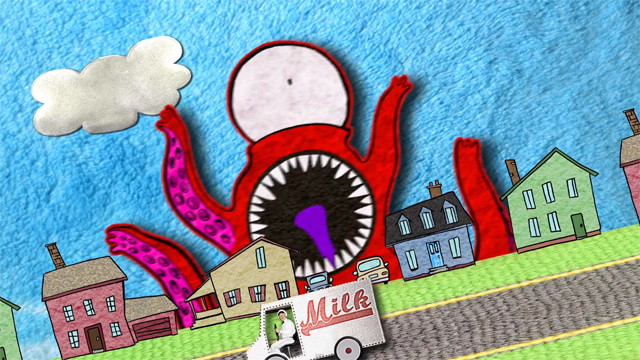 A monster, a milk truck, a S.Q.U.A.T. team leader named Gerald and an epic 7 day battle–all from the mind of 5-year-old Brett.